Today was Maxxamillion's second acupuncture treatment and it went very well except for the hard time I had getting him into the treatment rooms. He still thinks he is going to be left behind, and hesitates going to the vet. When we finally went inside, Maxxamillion was a lot more relaxed. He was very calm during his acupuncture treatment, which just like in humans, will help relieve his pain and build his immune system. 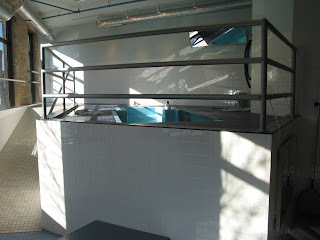 Afterwards, he went to his first underwater treadmill therapy. 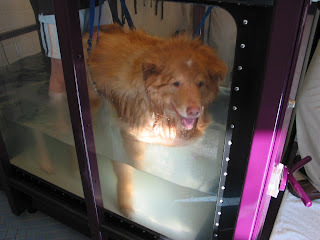 The 88 degree water was level with his chest and the therapist was also inside the tank helping support Maxxamillion with a flexible brace. 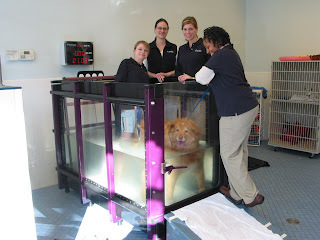 He did very well walking gently on the underwater treadmill. 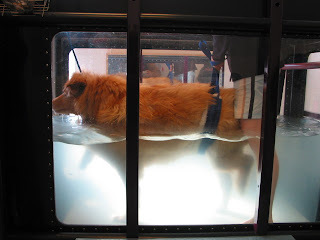 This treatment will help strengthen Maxxamillion's muscles, increase his range of motion and endurance. After a few sessions of therapy, We're so happy to see improvements and that he's feeling better. Although Maxxamillion has only received a few treatments, we've noticed that they've really made a big difference. Maxxamillion is actually walking slightly longer distances around the house and yard without any assistance. He has also been more playful in the evenings. We're so happy that he's improving and feeling better. 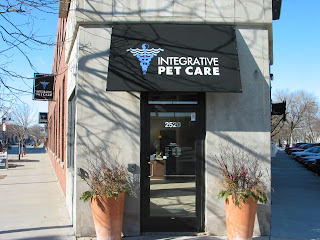 We want to thank the Integrative Pet Care Center for everything they do for pets. Everyone is so professional, courteous, caring and loving with all pets. We highly recommend their services. Yesterday Maxxamillion received his first acupuncture treatment. 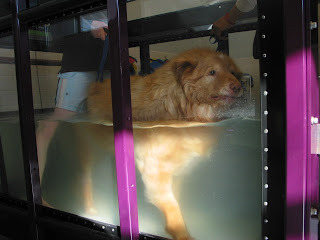 Although we had a hard time getting him into the building, he was very calm during the acupuncture treatment. He'll be receiving another one this Thursday. 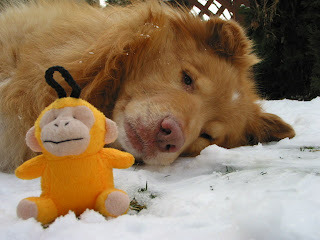 We'll keep you posted with his diagnosis on this blog. Hello all, Maxxamillion is doing a little better. 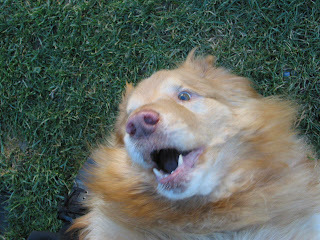 But his arthritis is getting worse and he is having a hard time walking. 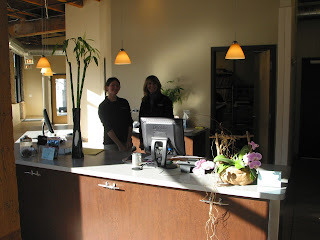 We have made an appointment for a consultation with a holistic medicine physical rehabilitative therapy clinic. 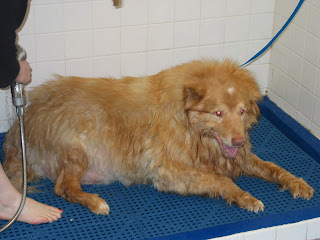 We would like to have acupuncture treatments for him, we have read a lot of positive feedback on such treatments for dogs.